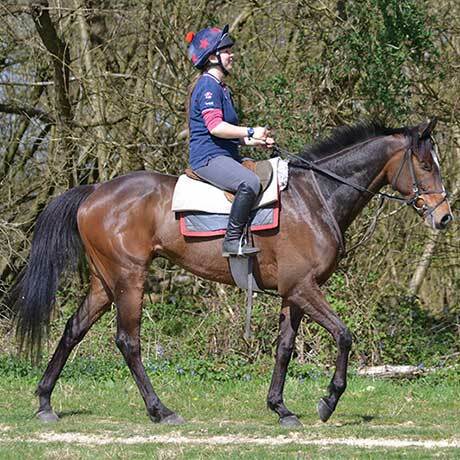 We train racehorses that win at Mark Bradstock Racing. With an attention to detail which is second to none coupled with fantastic facilities, our experienced staff know how to bring out the best in every horse we work with. Our triumphs over the years are testament to our ability to choose, breed and develop each horse into successful and often winning athletes. Another four year old by Jeremy, he is also known in the yard as ASBO as he is a complete yob. Lovable, but always up to something, he is showing signs of being properly talented although his bones were slow to remodel with training. Following his summer break he will do a lot of road work before starting his training proper. He should be very competitive in a bumper. 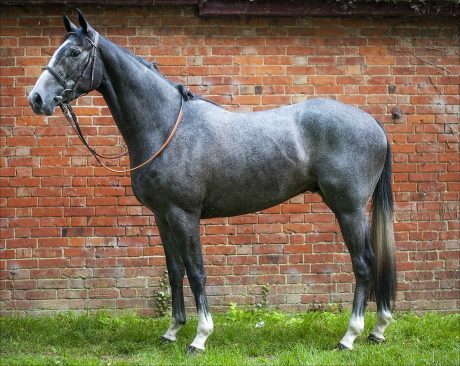 This is a beautiful and athletic grey four year old gelding. 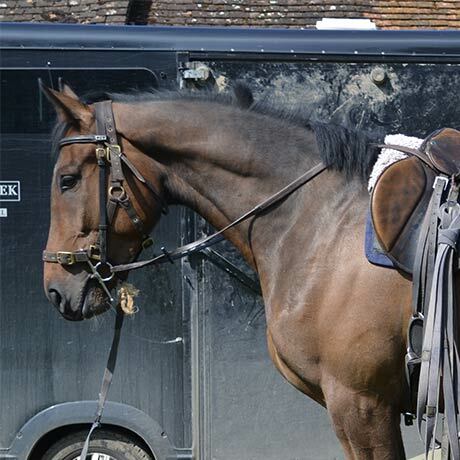 He is big and immature but has a very high cruising pace and should be a force to be reckoned with over obstacles. 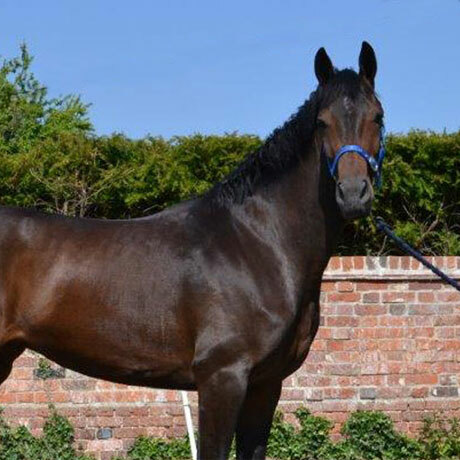 Carruthers is one of the stars of our stables, and started racing at the age of four. Since then he has exceeded all of our expectations. 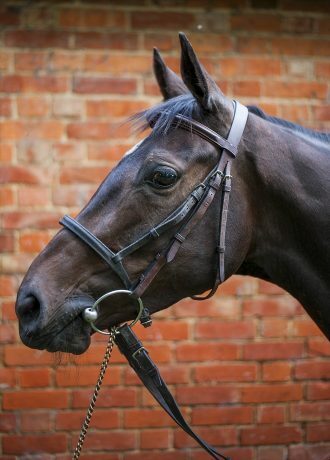 He is a talented racehorse who also happens to be wise, kind and a character with incredible charm. He won over thirty thousand pounds in five starts over hurdles. His wins over fences include the Reynoldstown Novices’ at Ascot and the Mandarin Chase at Newbury. He put up a brave fight in the 2010 Gold Cup where he was narrowly beaten for third and ran a very gallant second in the ToteBowl Sport Chase at Aintree. After a season laid low with a stubborn virus that affected his muscle function, the fairytale continued when he was a heroic winner of the Hennessy Gold Cup in 2011 at Newbury. We believe there are still great things to come from this gorgeous horse, who has amassed over £327,000 in winnings so far. Coneygree is the second star at our stables and half-brother to Carruthers. While Coneygree is not as clever as his big brother he is just that bit braver and better on the racecourse, something he proved with the huge 2015 win at the Cheltenham Gold Cup. He’s had eight career wins to date with over £437,000 in winnings and was recently named Leading Chaser and Leading Novice Chaser of the 2014/15 National Hunt season at the inaugural Thoroughbred Breeders’ Association (TBA) awards. Lady ‘Chicky’ Oaksey received both prizes on behalf of Lord Oaksey, her late husband, who bred Coneygree. We can’t wait to see what Coneygree will achieve next in his racing career, but we expect big things. Flintham suffered from a tendonitis after he was cruelly robbed of the Reynoldstown by Big Bad John who beat him by a short head. There is no other sport where it is possible to win by breaking a rule (Big Bad John’s jockey was given the maximum ban and fine for misuse of the whip). So our little hero was robbed of his biggest win. It has been made even harder as he has been disappointing during the ’17 –’18 season and the probable reason for this came to light after his latest run at Chepstow where he was found to have damaged a tendon. He will be given plenty of time off as there would be no point getting him back too soon and on the wrong ground, and we are hopeful that he will come back better than ever as a novice chaser with plenty of experience under his belt. Roberts Star is almost the perfect racehorse at his level. He is almost never out of the first three and has won over hurdles and fences since Christmas ‘17. He is often beaten by the shortest of distances and some may think that he is a rogue but that is absolutely not the case; he is just sometimes a little bit slow to react and can be beaten on the line if surprised by a fast finisher. In fact, he tries so hard that he takes a lot out of himself and it is only this year that he has had the strength to put together a string of races. He won well at Huntingdon and will run through the summer ’18 although the handicapper has not made it easy for him. Cojack is by Presenting and has been very slow to mature. He has a parrot mouth and probably did not do very well as a youngster because of it, which has made him weak in his back and lacking in self belief. He ran well for a long way in a reasonably hot race at Warwick last time and he will run again soon over three miles. He is a good jumper and if we feel that he is not yet up to winning under rules he may revert to point to pointing next winter. 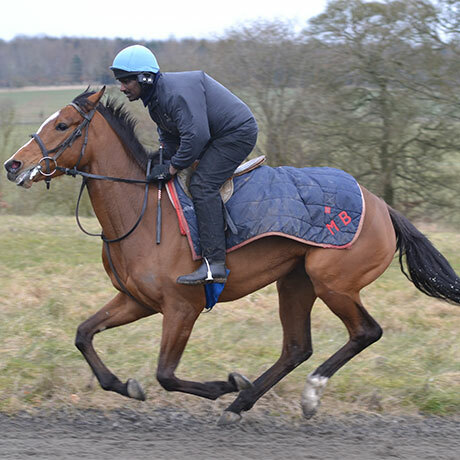 Min Tiky is out of a half sister to Azertioup and shows a lot of potential on the gallops. She did not enjoy the soft ground through the winter but cruised and jumped well on better ground at Southwell last time. However, when the pace quickened she made a noise and so she has had a wind op since. She will be out racing again in September ’18 and we are hoping that she will be able to show us what she is made of now that she can breath without impediment. Nellie is a feisty little madam who arrived with an extreme dislike of humans! We have now won her round now and after some setbacks with niggling injuries, she had her first run in a bumper at the end of last season. She ran too free and faded disappointingly in a race won by a horse that she had worked extremely well with the week before. It may be that it was the end of a long season but I am quite sure that she will put that behind her next season. Jaisalmer is not very big but he makes up for what he lacks in size with an enormous will to win and he has won two novice hurdles this winter (’17-’18). 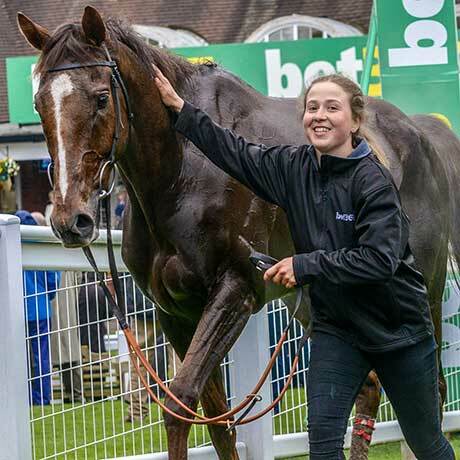 He ran below par at Sandown on the last day of the season because he was slightly over awed by the occasion and enormous field but Bryony (Frost) was easy on him when he was not going to win and he should continue to improve. He suffers badly from ulcers and we will be on top of them from the beginning of this season ’18-‘19. He will run over fences as long as he takes to it when he is schooled and, if he jumps as well as he does over hurdles, he will take a bit of catching. If he is proves not to be cut out for chasing, there will be plenty of fun to be had with him over hurdles still as he is so versatile on ground and trip. 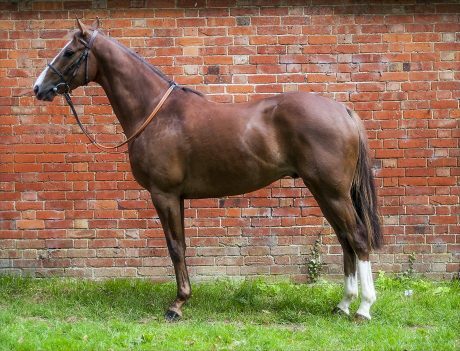 Hayley is a good looking and massive daughter of Flemensfirth out of a half sister to Plaid Maid who we found hard to resist when she went to the Cheltenham sale in 2016. When we started to train her we realised she had been over-worked while young so we gave her time off and she came back at the beginning of the ’17-’18 season. We were excited to discover that she had a lot of her uncle Coneygree’s traits, in that she could set a fierce gallop and did not want to be passed. She ran relentlessly in her race at Southwell but, unfortunately she was jumping so badly right that she was giving away 10 lengths at each hurdle and she tired so quickly that Nicko de Boinville had to pull her up before the finish. The weather was then against her and she picked up a pelvis injury at home. She was a fantastic patient and we were delighted to see her gallop happily across the field when she was turned out after a long time confined to her box. We are hoping that she will stand training for ’18-’19 season, but she will make a wonderful brood mare if not. Step Back does not need much introducing. He has the flattest feet that I have ever seen and ties up at a drop of a hat. We have all had to put our best thinking caps on to keep him pain-free and allow him to fulfil his considerable potential. 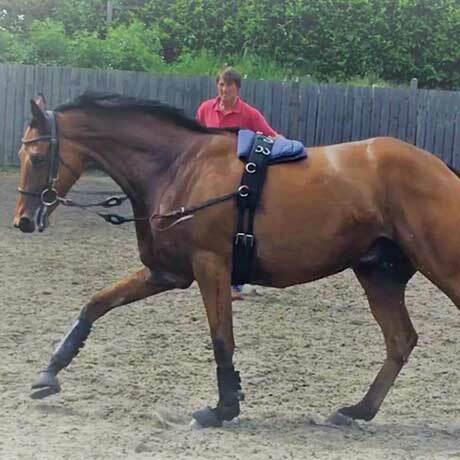 He is turned out before and after exercise with specially designed overreach boots to protect his delicate skin and keep his bar shoes (that help his flat feet) from being pulled off. He is an absolutely sweet little character who was timid when he arrived but he has grown in confidence by the day and has been, deservedly, extremely full of himself since winning the Bet 365 Gold Cup on the last day of the season. He will be aimed at the Grand National in 2019 but he is quite keen on self preservation so we will have to get him used to jumping different fences. If that goes well he will be aimed at the Becher at the beginning of the season ’18-‘19. This is a super elegant big moving son of Scorpion, who is still developing. He finds everything very easy and there is no knowing how good he may be as nothing seems to be a problem to him . However, he is still weak and we must not be tempted to run him before he is mature enough just because he is so talented. He will have a short summer holiday and will come back early to run in a bumper in ’18 before he goes hurdling. He is another four year old who was just not mature enough to run at the end of the season although he was working well. 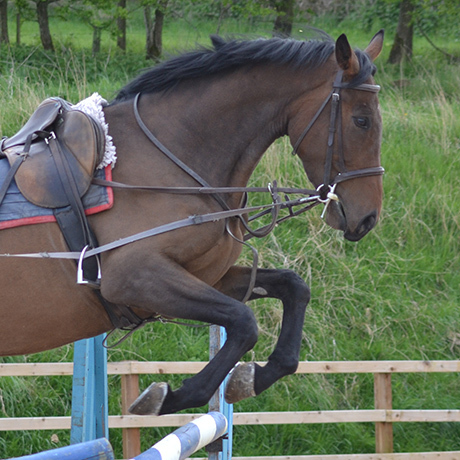 He is also a good jumper and joins what we think is our best lot of young horses for a long time! Known as Clyde in the yard, he is a small but powerful son of No Risk at All, who has had a very good first season at stud. He was going well and fancied to run well in a bumper when he suffered from some sore shins and was put away to rest. He will come in early in late summer ’18 and will run in a bumper before going hurdling. He is a good jumper and should have no trouble getting his head in front. This is a tough little fellow who we bought off Vere Phillips. He is very sharp and shows a good turn of foot. He will be got ready to run by early Autumn and should win a bumper. We are delighted to welcome the first edition of the new generation of our favourite family BB, who is the first foal of Maid of Oaksey (half sister of Carruthers, Coneygree and Flintham) and by Malinas. He has been extremely straight forward to back and ride away which is very good news as he seems to have the natural strength and stamina of his uncles and none of the quirks of his mother. 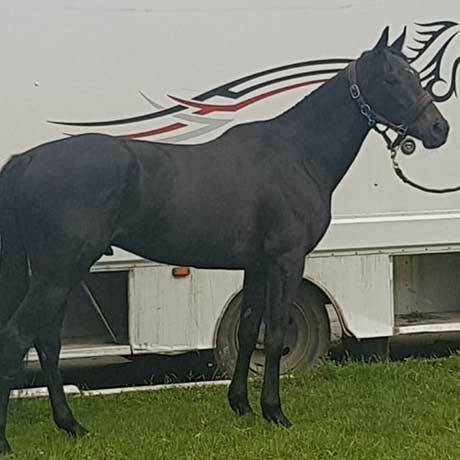 He was a bit small but has sprouted since doing a bit of work and we are optimistic that he will continue to grow and strengthen with some good spring grass before he comes in to training in July. There are still a few shares available in him but, as you can imagine, they will sell quickly because of his extraordinary pedigree. Heidi is a delightful miniature Shetland who has been with us since Alfie and Lily rode her in gymkhanas where she was rarely beaten. There was one particularly memorable incident at the local village show, when Mark was in charge of the lead rein. Alfie was just four years old and under Mark’s guidance they made a flying start to the apple bobbing. Mark hurled Alfie to the floor to retrieve his apple and although Alfie wasn’t quick they were still in with a chance, so Mark grabbed the child, threw him in the air and flew for home with Heidi scuttling behind him. Mark shrieked with delight as he crossed the line until he realised there were roars of laughter around him – Alfie was sitting on the ground at the other end of the course. Soon afterwards Heidi retired from competitive life and became a travelling companion for the racehorses. Horses are herd animals and it makes a huge difference to them to have a friend both in the horsebox and in the racecourse stables. Dambys Star has been point to pointing this season and won his maiden impressively at the Heythrop. He has been placed several times since but was not too keen on the soft ground so he will probable come into training through the summer and try to take advantage of his handicap mark. 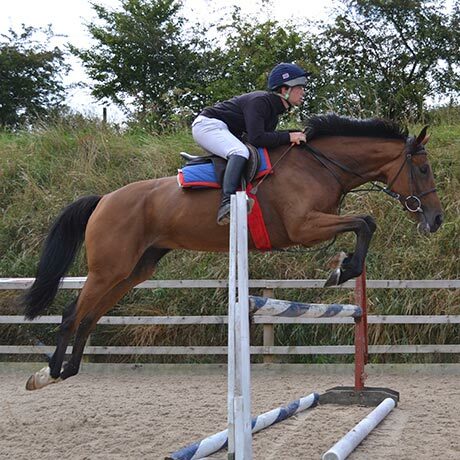 Lily (Bradstock) has done a fantastic job with his jumping and he will run in amateur races with her riding. Balinroab is a charming, gentle horse who has been under the guidance of different trainers having started life with Jonjo O’Neill and then moved onto trainer Richard Guest. 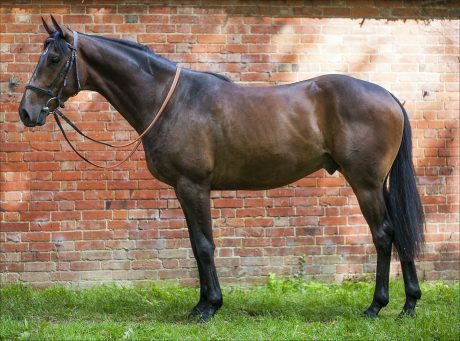 He has only been with us a short while but is clearly more suited to the greater attention and slower pace offered at a smaller racing yard and is now starting to thrive. He has needed careful monitoring along with a personalised feeding programme to help maintain his weight. We are now hoping for a bit of rain so that we can find some safe ground to run him on to see just what he is capable of. 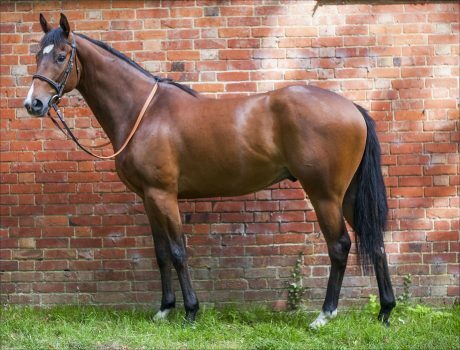 Does the thought of owning a racehorse and watching it in training appeal to you, then why not discover how you can become an owner with the Mark Bradstock Racing team? Contact Us or call us on 01235 760780.